About eight months ago, I got trapped in time. I became a prisoner, somehow, of a world with dangerous creatures that were supposed to be extinct. I had to learn how to survive among them and, even in the most difficult moments, how to keep alive the hope of finding my way back. I had no contact with my friends, with the ones I love. I was lost. It was quite an adventure. Now I’m safe. I’m back from the forgotten eras, back from Prehistorica: The Dawn Kingdoms. This post is written on three different “levels”. 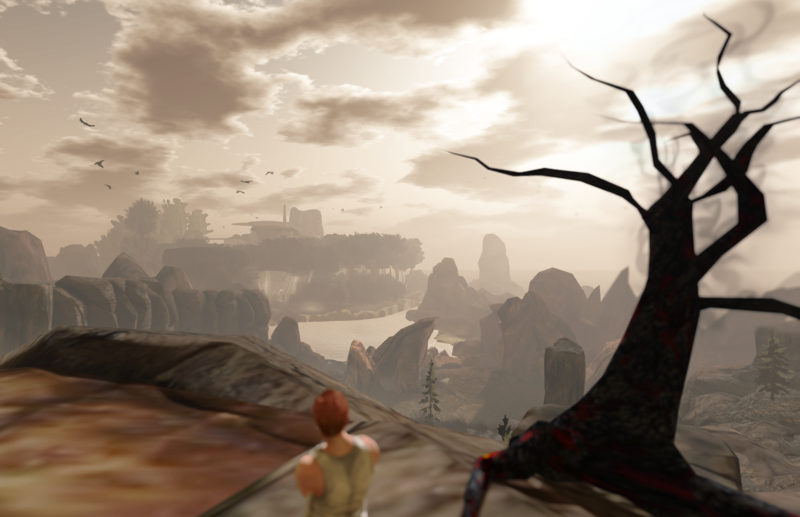 In bold, readers can follow the fictional account of an adventure in Second Life. 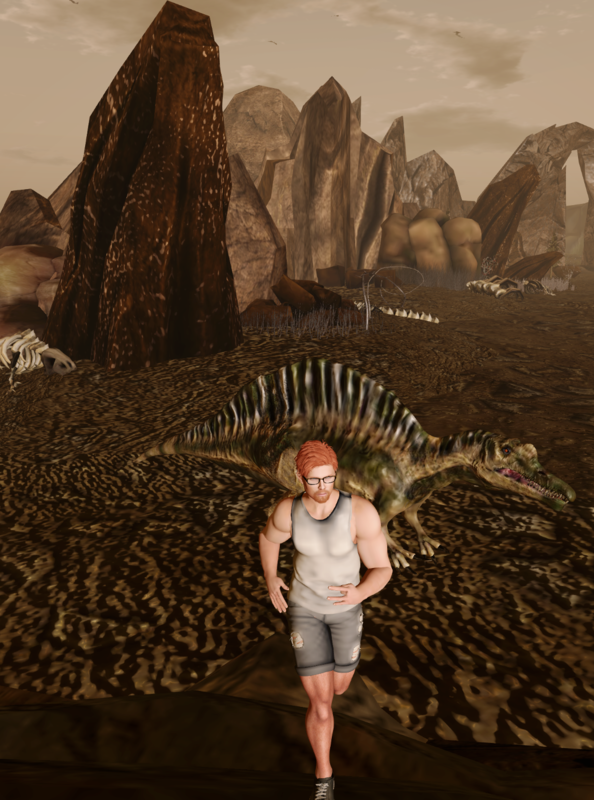 In regular typing, one will find information on Prehistorica, a group of sims in SL (with their correspondent website) that comprise a prehistory environment for the curious visitors, a survival simulation game in such an environment and a store with prehistoric-like avatars. Finally, in italic, there will be a short reflection on seclusion in Second Life. It all started right after I became 10 years old in my second life. I heard about a time machine that would take me to the world of dinosaurs. I’ve always felt fascinated by those creatures, so I decided that the “trip” was worth trying. I was excited just for thinking about it – but when I actually found myself before the portal, I felt that mix of enthusiasm and apprehension. I was determined to go ahead. Thus, I crossed the time limits and arrived at some jungle where I would soon meet them: the reptiles. 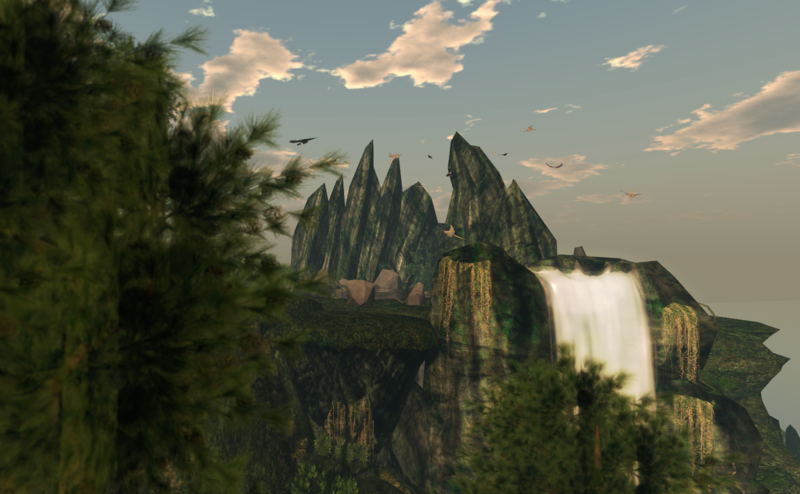 Right after I became 10 years old in SL, I started a journey in the atomic world that kept me either away of the virtual reality or confined to the sim where I live – and, most of the time, locked in my house (that’s the reason why this blog hadn’t been updated since last April). It may sound ironic: the more I would move from one place to another in the real world, the more I would be submitted to a secluded life in SL. It was an interesting time to think of what reclusiveness means in the virtual environment. I felt fascinated during my first encounters. From a Parasaurolophus to a Stegosaurus, I saw a number of different species. Dinosaurs were like a passion since I was young. As a child and a teenager, I would read and search for every bit of information that I could have about them. And now they were right in front of me! I felt so marveled that I did not pay attention to anything else – and, of course, at some point I wouldn’t know how to come back to this world and time, where I belong. Prehistorica displays robot-animals from the Jurassic and Cretaceous periods of the Mesozoic Era. Avatars of our days and even of the future can visit the sims as time travelers. 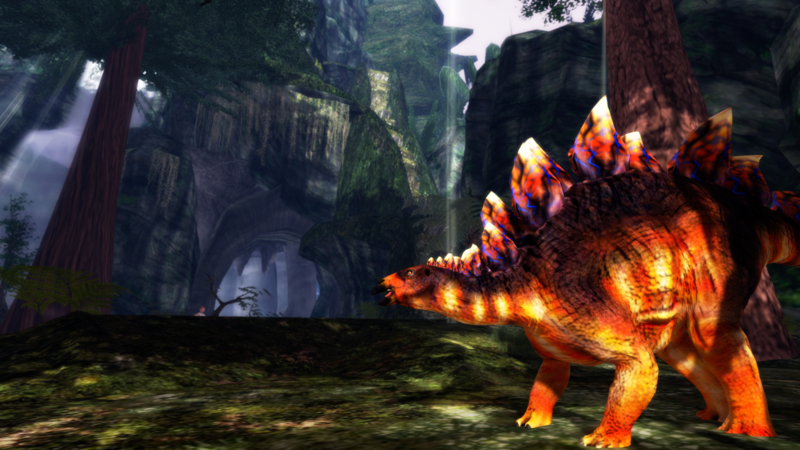 Another option is to morph into a dinosaur avatar and interact with the other reptiles as part of their environment. 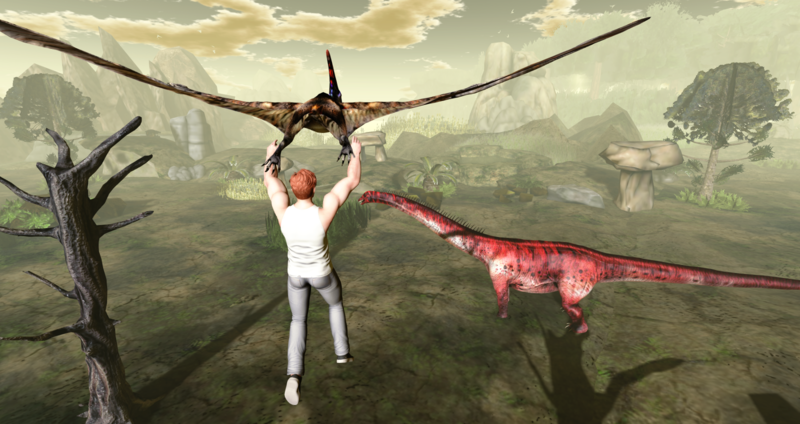 The store at the landing point of Prehistorica offers some possibilities for becoming a dinosaur, including a free avatar. 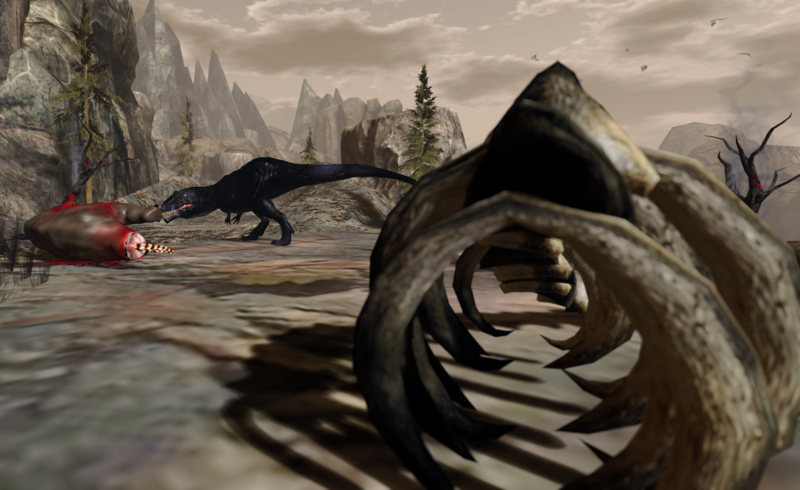 The avatars sold by Prehistorica are prepared to interact with their own survival game. I haven’t tried the game, but I can only suppose it allows one to fight against the robot-reptiles found in the sims. For months I would roam that forgotten world. I crossed jungles, plains and valleys and, with no other human to interact with, I started feeling like an animal, myself. I was far from being the strongest or the fastest one, though. I had to obtain food and find shelter from rain and cold, and additionally make sure I would be able to keep myself alive whenever I’d cross the way of a Gigantosaurus, a Spinosaurus or even a Tyrannosaurus. Among the most difficult battles I had to fight was the one against loneliness. My husband and my friends were left behind – or, rather, they were millions of years ahead. The realization that I was most probably the only human being there, that I was to live and die alone there – such an idea was really frightening and started driving me crazy. I wasn’t really alone when I could log in and be at home in SL. I had my partner and a couple of friends who would check on me and message me whenever they’d see me online. Well, more than a couple of friends, actually, but far from a dozen. When you are not on regularly, when you do not go to events, do not visit people, your social web shrinks. For that matter, SL is works like the atomic world, where the same is true: if you do not interact with people, they stop considering you part of their world, they stop thinking of you as one of them. The difference is that, in the atomic world, reclusiveness may be a project (it may be a sign of depression, too, but let’s consider it a project for the reasoning that’s being developed here), while, in SL, it makes little sense except under some very specific conditions. I mean, in real life, one can choose to become a hermit in order to meditate about life or to dedicate oneself to an inner journey. Or one may even spend some days at home reading a book. 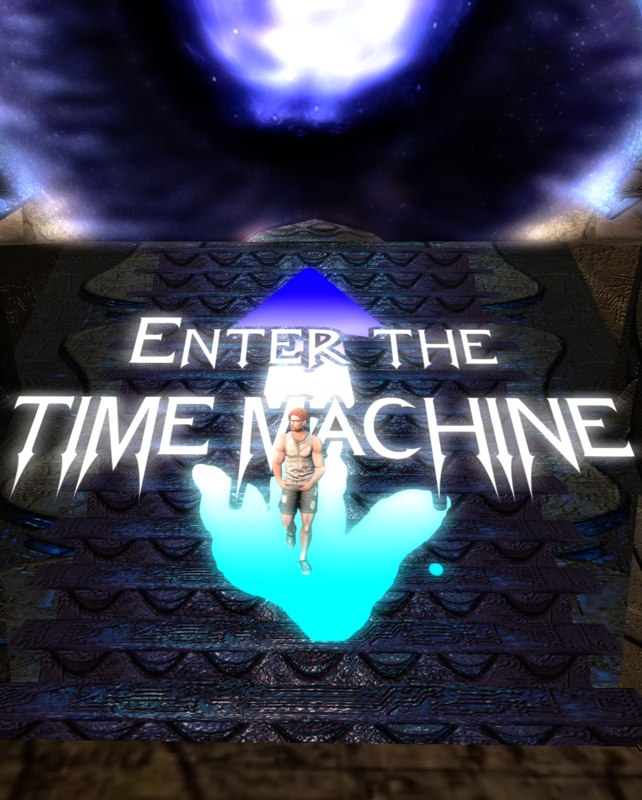 In Second Life, though, if you plan to go for an inner journey, you will most likely log off and shut down your computer. If you’d like to do nothing else but reading, probably you won’t open your viewer just to rez your avatar in your house. Only some very few activities may work to keep you online without visiting different places or interacting with other people. Maybe if you are a creator you can do that: stay on making stuff, testing scripts, building and avoiding others while engaged in those activities. Nonetheless, with the advent of mesh imports, more and more aspects of the creation of objects are executed out of SL, with the help of other programs. In other words, you don’t need to stay connected most of the time. I never gave up finding my way home, though. And I’ve found it in a peculiar way. In my peaks of madness, I developed some sort of “friendly interaction” with certain reptiles. Because of that, I was able to explore the seas having a Plesiosaurus as my guide. One of my earliest friends in that forgotten world was Pete – that’s the name I gave to a Pteranodon that would fly me up and down in that crazy world. One day, when I was flying with Pete, from above I could see a light on ground level. At first I thought it was just the effect of sunlight on some reflective surface. However, soon I realized that something there was shining and not just reflecting the sun. My communication with Pete wasn’t that easy, and it was impossible to make him understand that I’d like to go closer to take a better look at that bright object. Actually, the Pteranodon landed far from where I intended. I would certainly have to walk for hours and it would be frustrating if I concluded, when I arrived there, that it was not what I hoped for. Yet, I had to go there, and that’s what I did. One can conclude, then, that SL is mostly about interaction – either with other people or the environment, the sims, the creations by other people. It can be argued that even hermits in real life are submitted to social interplay, because, although they may have a secluded life, they encompass all the relationships that they established during their lives, they bring in them everything that they learned from their parents and their teachers, every influence that they received from their friends, their colleagues and their communities. Still, in Second Life, that interaction cannot be encompassed in oneself: it has to be played, it has to be visibly enacted, it needs to be obvious. Otherwise, all that is left for us to do is to close our viewers and go find something else to do. After a walk that took the whole day long, my expectation was confirmed. 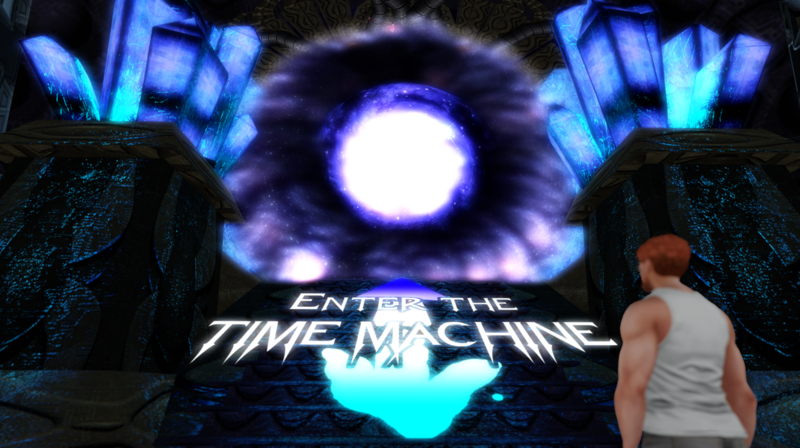 I was exhausted, but what I saw could not wait: the time portal was there, the time machine was ready to take me back home. I gathered all the energy I still had and kept moving on. Finally, I’d be back at home! It is certainly worth visiting Prehistorica: The Dawn Kingdoms, but even as a visitor, even if not playing their survival game, one should be aware: the robot-reptiles can detect you, smell you. So, if you go there – and do not hesitate, it’s a great experience – be prepared to run away from the carnivorous creatures that will certainly chase you. Oo@! @oo I didn’t know it would do that pingback thingy! that’s SO clever! But where’s my thought gone? Yes, at the end of your posts there’s space for other’s to post their thoughts about what you wrote ..and I thought I’d commented about how thought provoking this post was. But I was thinking so much about what you had written that I possibly, might have, maybe omitted to press the ‘Post Comment’ button? Well, the pingback think led me to the thoughts on your bog post – and they’re so interesting and rich! I haven’t been there for a long time. You mean in Prehistorica? I think it’s an interesting place to visit. Yes. I’ll have to return some time soon.